What is Creatine Monohydrate (Creapure®)? Creatine Monohydrate (Creapure®) is made by AlzChem in Germany and is world-renowned to be the purest and best quality micronized Creatine Monohydrate available. Why use Creatine Monohydrate (Creapure®)? This is recommended for sports which require high-intensity, explosive movements and for athletes such as bodybuilders, power lifters and sprinters. To be taken as part of a varied and balanced diet and a healthy lifestyle. 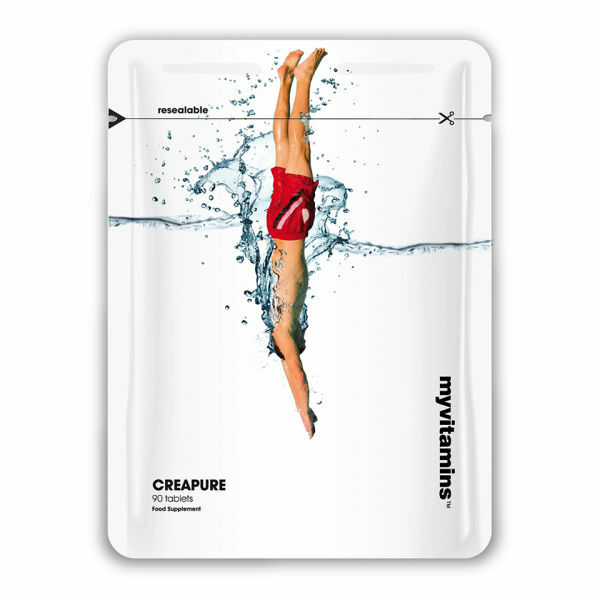 Creapure® Creatine Monohydrate, Vegetarian Capsule (Hypromellose). Free from artificial colours & preservatives, yeast, gluten, starch & lactose. No added salt (sodium chloride) or sugar. GMO free. As a dietary supplement we recommend consuming 5 capsules 1-2 times per day. After 8 weeks of continued use take 1 week off and start again.